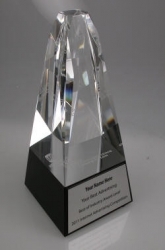 Winners of the 17th annual Internet Advertising Competition (IAC) Awards are now available at www.IACAWard.org. The IAC Awards are the first and only industry-based advertising award competition dedicated exclusively to online advertising covering 85 different industries. The Web Marketing Association was founded in 1997 to help define the standard of excellence for online marketing. Our internationally known award programs, such as WebAward Competition for Website Development, Internet Advertising Competition and the MobileWebAwards recognize the people and organizations responsible for developing the most effective online marketing programs on the Internet today. Entrants benefit from assessment of their marketing efforts by a professional judging panel and the marketing opportunities presented by being recognized as an award-winning web developer.